The time has come for William McEndri's daughter, Helen, to pickup where her father left off in search of the secret whereabouts of twelve ancient artifacts that could prove the existence of the lost city of Atlantis. 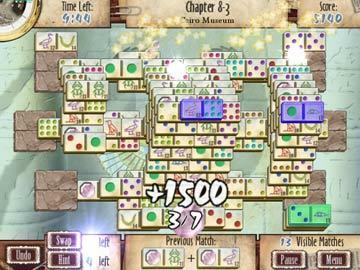 Journey with Helen all over the world and into the unknown in this truly unique Mahjong experience. 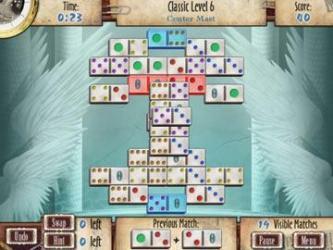 Mah-Jomino blends the challenge of both Mahjong & Dominoes into one exciting, beautiful, and creative game. 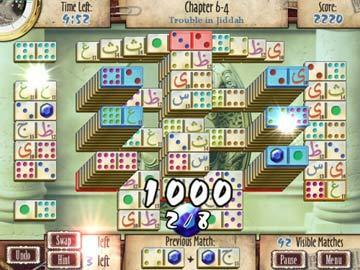 The incredible graphics, special effects, story, and art, make this the new standard for all Mahjong games.